Welcome to Part 1 of my Crockpot Freezer Cooking Series! This took about an hour to prepare all five meals. 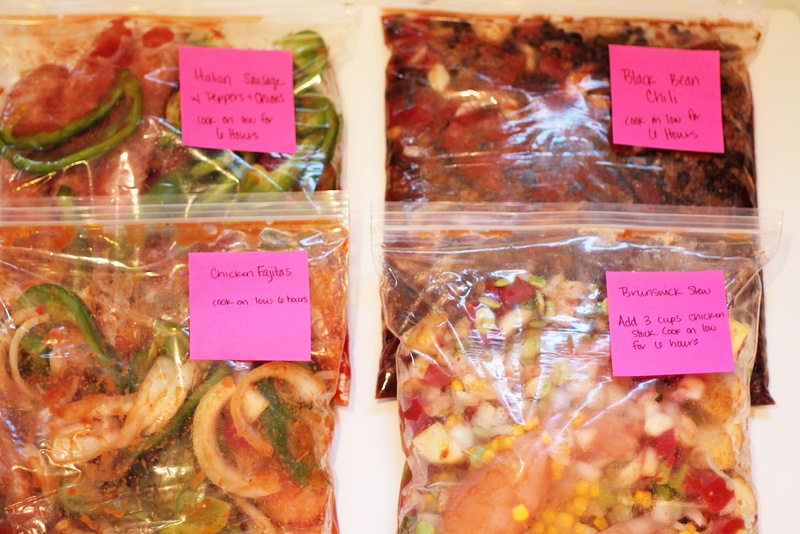 I chopped all the veggies & cooked the ground burger, and divided the meat into freezer bags. You don’t need to pre-cook the chicken or the sausage. 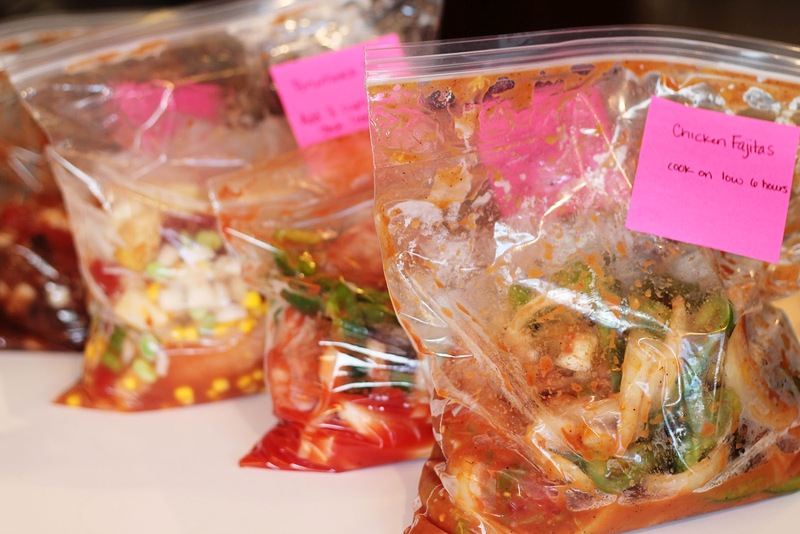 I labeled each bag and noted additional ingredients, cook times, etc. I added veggies, spices and remaining ingredients to bags. Directions for each meal are below. Shopping List is at the bottom of the post. 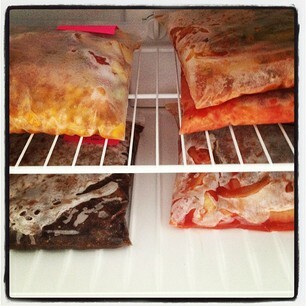 Place all items in freezer bag, lay flat and freeze. When ready to cook, place all ingredients in a crockpot and cook on low for 6 hours or high for 4 hours. Serve with warm cornbread muffins! I make this recipe at least once a week in the winter. I love soups on a cold winter night and I hope you enjoy this recipe as much as I do! 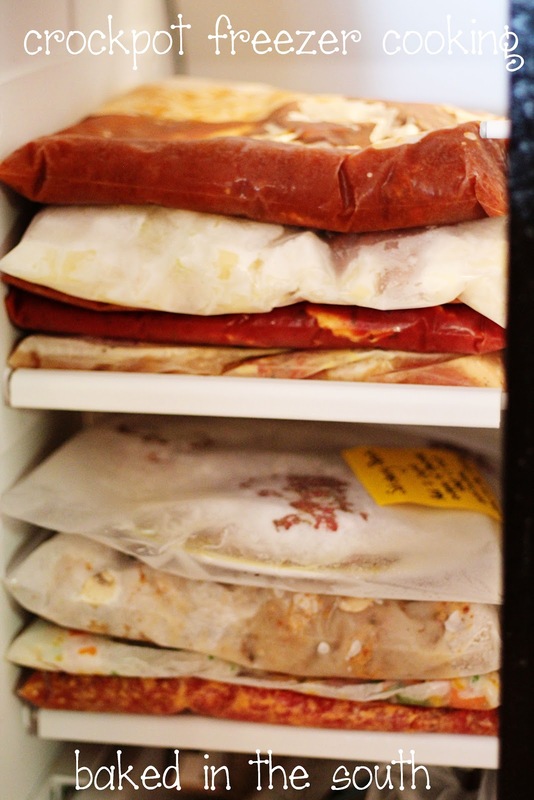 Place all items except the chicken stock in a large freezer bag. 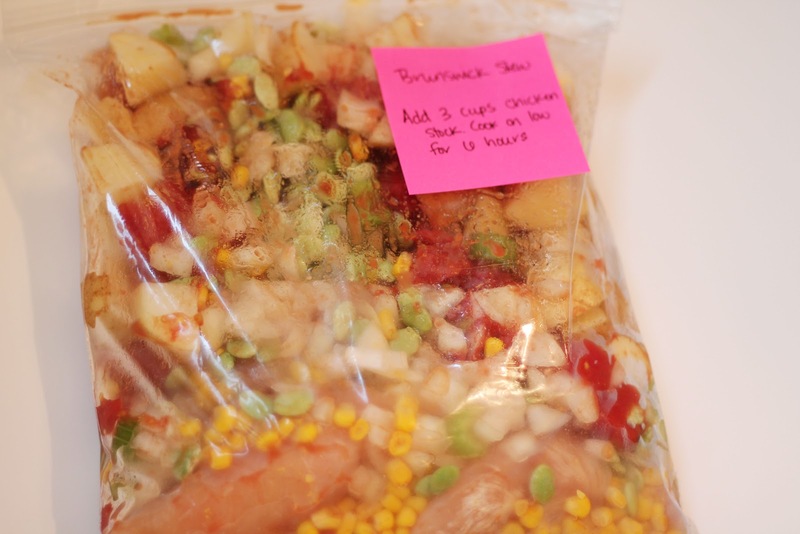 Label the bag and make a note to add 3 cups of chicken to crockpot before cooking. Once you are ready to cook, Place ingredients along with 3 cups of chicken stock to large crockpot. Cook on low-medium 5-6 hours. Remove cooked chicken tenders from stew, shred them and return to the stew. Serve with warm cornbread muffins! If you don’t have a dutch oven, I highly recommend this set from Pampered Chef. You can brown the meat on the stove and transfer directly to the warming piece. Then directly to the fridge. This thing is seriously amazing and saves a ton of time on dishes. Print out the shopping list before your next trip to the store! Thanks so much for linking this up to my party! I love this concept and will be using some of these recipes so I can do the same thing that you have done. thanks Julie! you should definitely try these! Hi! I’m heading over from the link-up at Sugar and Dots! These are great recipes, and I can’t wait to try them – especially the Brunswick Stew. I’m always looking for easy meals for my family! thanks for stopping by! and yes, the Brunswick Stew is amazing! How many people are these recipes supposed to serve? What a great idea. I need to do this! Thanks for the recipes! And for sharing at the All Star Block Party. Thanks so much! I can’t wait to try these. I’m hosting a linky party “One Creative Weekend” at OneCreativeMommy.com. I’d love for you to visit and link up this idea and/or anything else you’d like to share. thanks Heidi! I will definitely stop by! This is just what we need- someone who has done all the work and made it easy for us! These are great recipes and I really love that you’ve laid it all out with a shopping list and everything. We really have no excuse not to do this now! Thanks for linking up to Gettin’ Krafty With It! Thanks Kathie! these recipes are really easy! The crockpot recipes sound delicious. 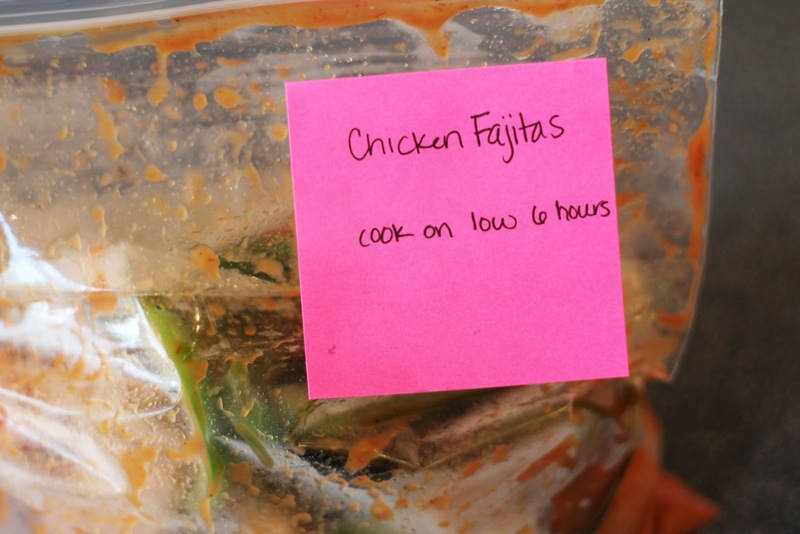 Do you cook the crockpot meals frozen? I’m concerned about the coldness of the frozen ingredients cracking the crockpot as it heats up. Yes, I cook them all from frozen. just be sure to turn the crockpot on after you place the frozen meal in. It will all heat up slowly. I came over from Frugal Girls. What a great idea and these sound delicious. Can you give me an idea about how much the recipes make or how many they’d serve? Thanks so much! Just Brilliant! Thank you so much for this…I love to have a freezer full of dinners, and your planning makes it all seem so easy 🙂 Found you on Pinterest! thanks faye! glad you stopped by! Thank you for this great idea. My work week stress level has gone way down as a result of knowing I have dinner in the freezer and ready to go in the morning when I wake up. I have so far tried the sausage and peppers, the black bean chili and the pasta sauce. They were all delicious. I’m glad you are not afraid to use spices. I look forward to trying the other recipes. Just wondering…on the recipes that say cook low for 6 hours…would it hurt to have it cook longer. I leave my house at 7:30am for work and don’t get home until around 6pm… will it burn the food? I can’t run home either to turn it on b/c I don’t work in the same town as I live. Just wondering if anyone has cooked them longer without having them ruined. Thanks! It should be fine, but will depend on the crockpot. Do you have a thermostat on yours? mine just has low or high and it is usually fine on low for the day. the only thing that has ever overcooked in mine was the cheeseburger macaroni, but all those ingredients are already pre-cooked. things like soups, and frozen meals will do just fine. try a few things to get used to your crockpot, they are all different. happy crockin! So I tried week one’s plan, and it was a big success in our house. Only slip-ups I encountered were that the shopping list was missing a few things, but I just sort of winged-it, and it all worked out. Now for the question – when I was looking at this page last weekend and whipping up all the recipes, I thought I saw a link/page/post where you were talking about another gal that has a cookbook for all of this stuff too that you recommended – I’d love to take a look at it/buy it, but can’t find it now on your site…. Can you help? Thanks for trying the recipes! I will definitely check the ingredient list and add anything that is missing. I tried to add a link to Mama & Baby Love, but it wasn’t working. 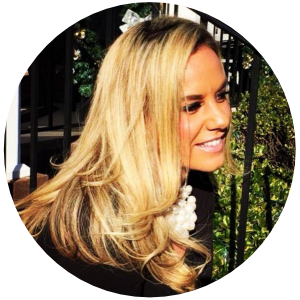 She does have an excellent e-book on her page! http://www.mamaandbabylove.com/ecookbook/ Let me know how the other recipes turn out for you! Happy Crockin! If I wanted to add some browned ground beef or Italian sausage to the spaghetti sauce, would it be ok to add before freezing/cooking? Or better to add after the sauce has cooked? Just wondered if you or anyone else has tried this? Thanks! I would pre-cook the burger and add it to the sauce the last two hours of cooking. I brown my hamburger / sausage meat mixture then freeze it. I thaw it in the fridge the night prior to making the sauce the next day that way its ready to add when the sauce is finished cooking. I add meat mixture to sauce last hour. The chili recipe seems to be missing a liquid component. What do you use and how much? the chicken fajitas were a huge success with my fiance. Thanks SO much for the recipe. With a newborn around, this is my kinda cooking. It’s homemade, but a whole lot less work which gives me more time with my baby. Thank you! Do you cook the Italian sausage links first or just put them in with the rest of the stuff? I love these, I just wish some of them were more clear on whether or not you have to pre-cook the meat. I discovered on my own that I did not need to pre-cook the Italian sausage. Does the chicken need to be pre-cooked? Do you buy frozen chicken for all these recopies or do you use fresh chicken? I love this idea, I may even try it for my oxtail stew. This might be a silly question but if I put it in the crock pot frozen to start cooking it, do I have to do anything to it (like breaking up the frozen block) or just put a giant block in the crock pot and it will do its thing? Or is it better to thaw in the fridge the night before and throw the thawed contents into the crock pot in the morning? Love these! Thank you for sharing!! Do you have any more recipes? Thank you so much for your recipes! I just made all five of these dinners and I VERY much look forward to eating them! Thank you also for the shopping list, that made everything so much easier! 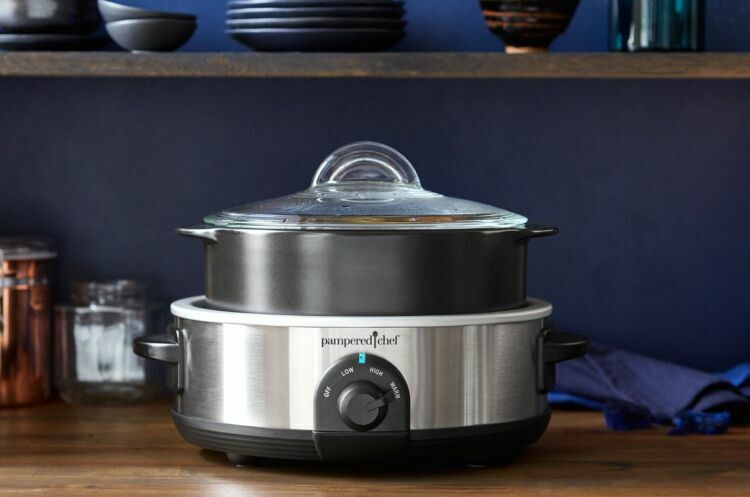 We are getting ready to move into a real apartment and a crockpot is something I am definitely going to invest in (especially with twins on the way!)!!!! 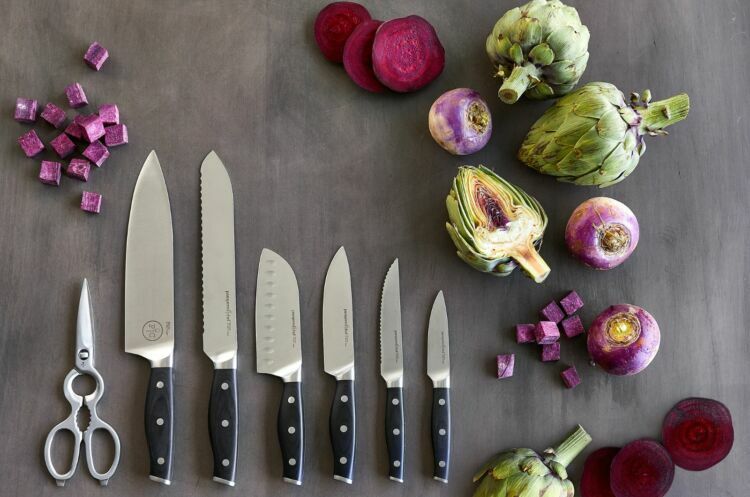 I can’t wait to start cooking real food! Hello! I just wanted to say I made and my family ate this entire menu! Everything was wonderful! The italian sausage and chicken fajita meals were KILLER. My husband adored them! I’ll be making your next menu plan (prt 2) this week! Thank you again for your wonderful meals! Maybe a stupid question, but do you remove the casings from the italian sausage first or leave the casings on? These all sound so great and I can’t wait to give it a try! Do you know of any longer timed recipes? I leave for work at 630 and am often not back until close to 530 and would love some great recipes for just throwing in the crockpot before work! The black bean chili was to die for!!!!! Only thing I messed up on was not pre cooking the beef. However, it turned out spectacular anyway! Don’t know if I just missed it or what, but the ingredients list is missing fajita seasoning packet and hot sauce (just in case someone is printing that out to go to the grocery store). What would you recommend using as a white wine substitute in the spaghetti sauce recipe? I am underage but would still love to give it a shot! I would like to do the Italian Sausage, but use turkey sausage instead. Have you tried that, or can you think of a reason not to? turkey would be good too! We had the Beer & Beef Stew last night and it was a WINNER! Wondering about the butter beans in the Brunswick Stew now…. do you use dry butter beans, or canned? I was wondering about servings in each. I assume its four? Hi, just wondering…. Can you put the burger meat in uncooked? I would not recommend it:) it needs to be browned first. I like to buy it in bulk, cook it and divide it into batches and freeze. that way you always have some on hand to throw into recipes! In the spaghetti sauce what can I use in place of wine?